Blue Mountain is an Alpine Ski Resort in Ontario, just northwest of Collingwood. It is situated on a section of the Niagara Escarpment about 1 km from Nottawasaga Bay, and is a major destination for skiers from southern Ontario. 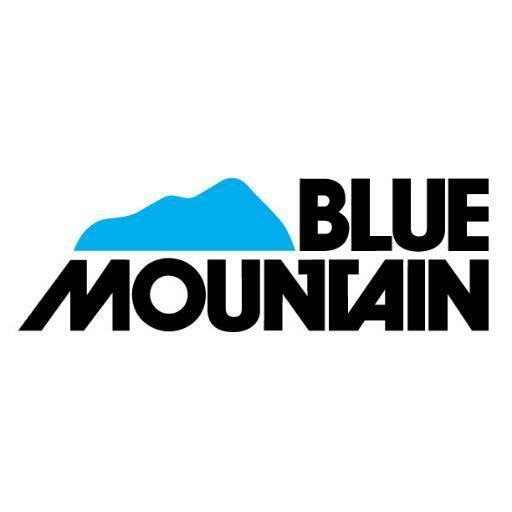 On average, Blue Mountain sells more than 750,000 lift tickets per year, making it the third-busiest ski resort in Canada, after Whistler-Blackcomb in British Columbia and Mont Tremblant in Quebec. It is one of the largest resorts in Ontario and has been extensively built out, featuring 42 runs, 16 chairlifts and 3 freestyle terrains. 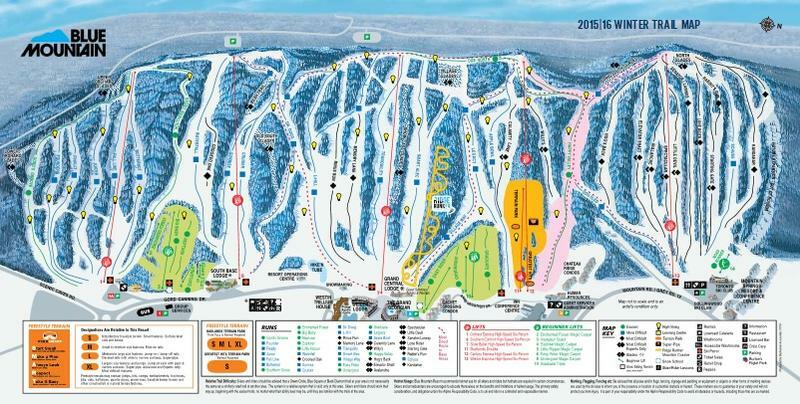 The resort has recently undergone major renovations, including new high-speed lifts and a pedestrian "Village" similar to those built at Tremblant and Whistler at its base.It is one of the largest resorts in Ontario and has been extensively built out, featuring 42 runs, 16 chairlifts and 3 freestyle terrains. Alpine Ski Club is a private club owned and governed by its members, situated on the Niagara Escarpment adjacent to the Bruce Trail minutes from Collingwood and an easy two-hour drive from the Toronto area. Alpine's hallmark is its diversity and layout of terrain. We pride ourselves on our friendly family atmosphere, breadth and depth of on-hill programs, attention to safety, and quality of Club experience. Winter weekends are active with club events for members and their guests. Programs abound for every interest, be it recreational or competitive or somewhere in between, for grandparents, parents, and children, on skis or snowboards or both, on the hill, in the terrain park and the halfpipe. Snowshoeing is a popular pastime on marked trails, as is skating on the outdoor rink. Après ski events delight both parents and children, where the bonds of friendship forged on the slopes are enjoyed over delicious food and beverages composed by Alpine's on-site caterer. Non-members are welcome to visit as the guest of a Member or as part of Alpine's midweek program for visiting groups. Georgian Peaks is a private alpine ski resort located on the Niagara Escarpment just outside Thornbury, Ontario. It has the highest vertical drop of any resort in Ontario, at 820 feet, enough to allow it to host official FIS-standard Slalom Races. The hill focuses on more challenging terrain than nearby hills like Blue Mountain, featuring twenty-two named runs served by four chairlifts. Thirty two beautifully groomed trails that range from easy to expert. Terrain feature areas including a progression park, a terrain park and an SBX course. Plus breathtaking views of the beautiful Escarpment and Georgian Bay. 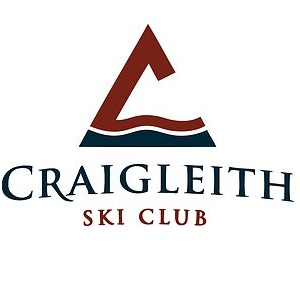 Craigleith is the perfect setting for an enjoyable, premiere ski and snowboarding experience all season long. Craigleith Ski Club also offers great summertime activities with a comprehensive tennis program. Plus, Members will enjoy their newest addition that opened in the summer of 2012 – a big outdoor pool that’s perfect for a post-game dip, a swim with the kids, or just a lazy afternoon in the sun. Osler Bluff has a base elevation 200 feet higher than Blue Mountain and a location 10 kilometers from the Georgian Bay shoreline creating more natural snow as the prevailing winds push up over the escarpment and move inland; Osler Bluff’s northeast exposure also provides better protection against snow erosion from wind and direct sun. Osler Bluff has a vertical drop of 745 feet is one of the greatest in Ontario, providing some of the longest runs, many over one km in length. Osler boasts an almost perfect fall line on all 20 runs for the beginner to the expert, spread over 130 acres. A 6.5 acre terrain park boasts a 350 foot/107 meter full-size competition half-pipe plus two dozen features including rails, boxes, jumps and hips. 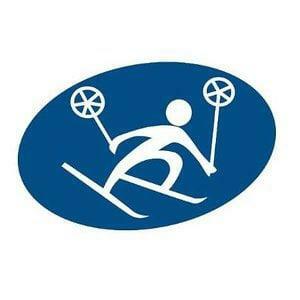 Two high-speed detachable quad chairs and one fixed grip quad service their ski trails. 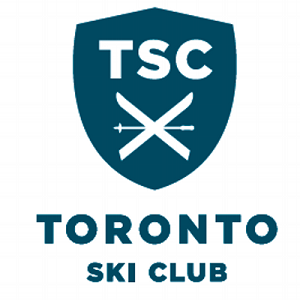 TSC, one of Canada's oldest ski clubs, is a family club for all ages, offering its members an array of top-calibre Alpine Programs in the heart of Ontario's largest mountain resort, Blue Mountain. It started in 1924 with a trailblazing membership that made it their mission to explore and ski as much downhill terrain that they could find, and who ultimately played a pivotal role in the establishment of skiing on the Niagara Escarpment. 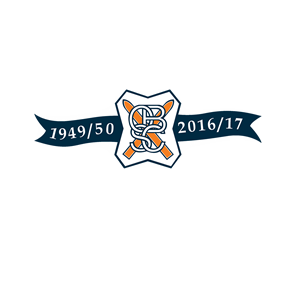 Over the years the Toronto Ski Club has continually strengthened with a family of Members who carry on the pioneering spirit. Today, the TSC’s private clubhouse proudly sits at the base of Blue Mountain in Collingwood, Ontario. The club continues to welcome winter with ‘Best in Class’ Alpine Programs, and Social Events. The Clubhouse provide the perfect place where families can share their enthusiasm for the season’s pleasures.